Connected Learning research demonstrates that all young people benefit from opportunities to follow their interests alongside the support of peers and mentors who give them the time and space to create work that is meaningful to them. As educators, how can we support, showcase, and celebrate the powerful work that youth create when they have opportunities to explore interests and ideas that are valuable to them and their communities? LRNG Innovators is launching a new challenge, inviting educators to design ways that youth can share their work with authentic audiences, build real-world connections, and have impact on issues that matter most to them. We seek proposals for programs, curricula, or projects that connect youth interests to larger networks, mentors, and/or forums where they can share their work and amplify their message. In Philadelphia, Pennsylvania, students, schools, and grade levels collaborate to explore news literacy by becoming journalists themselves, publishing their work in places and spaces that are accessible and meaningful to their intended audiences and purposes. In Charlottesville, Virginia, teachers work in cross-disciplinary teams across high schools to support students in creating their own memorials while leading dialogues about who gets memorialized and why in the midst of national conversations about monuments and white supremacist violence in their own community. In Bastrop, Texas, early elementary teachers work together across a district to support young writers in expressing themselves authentically and share their work with their families and then in public spaces, including an outdoor gazebo, an website, and the public library. In New York City, New York, middle school students are supported in their academic work through a youth participatory research process to learn more about and take action around issues in their school and community that they deeply care about. In St. Louis, Missouri, school and community storytelling partnerships support youth to create together and build community across historically entrenched racial and class divides. If you and your colleagues are up to the challenge, start your application today! Download the Call for Proposals | 2019 LRNG Innovators Challenge: From Passion to Purpose. Review our FAQ or email educatorinnovator@nwp.org. Through LRNG Innovators, John Legend’s The Show Me Campaign and the National Writing Project partner to reimagine the way young people learn, encouraging new ways of learning and teaching in their schools or networks. Its flagship program, the LRNG Innovators Challenge, supports teams of educators in designing, testing, and sharing solutions that build the future of creative and connected learning today. LRNG Innovators was originally founded in 2014 by The Show Me Campaign, with support from the National Writing Project and the John D. and Catherine T. MacArthur Foundation. Learn more about LRNG Innovators. In 2007, John Legend started The Show Me Campaign to give every child access to a quality education as well as address systemic issues in our criminal justice system that disproportionately impact the poor, minorities, and disadvantaged. 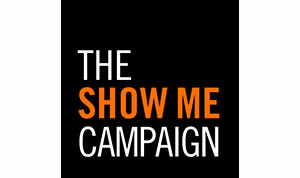 The Show Me Campaign aims to give every single child the opportunity to not just survive, but to thrive.